After a week of retrospection we’re back on the road again! Join us we uncover the eventful history and unique culture of Ukraine. Want to learn more about Ukraine? Early settlement in Ukraine can be traced back thousands of years, though it wasn’t until around 700 BCE where we can pin down Scythia as the ruling kingdom. In the following centuries, many of the great powers of antiquity (Greece, Rome, and the Byzantines) founded colonies in Ukraine. The fall of the Romans saw a variety of different tribes and groups move into the region and spread their influence. In 880 CE, the Rus’ people settled in Kiev…an act that soon led to a golden age renowned in Ukrainian history. Known as Kievan Rus’, the state stretched across large portions of Eastern Europe. 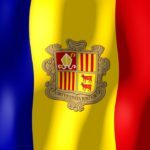 By the mid-Middle Ages, it was the most powerful country in all of Europe. Though Mongol invasions and other factors severely weakened the kingdom by the 13th century, Kievan Rus’ served as the basis for a national Ukrainian and Russian identity. Beginning in the 14th century, the former great power found itself at the mercy of a variety of foreign nations. From King Casimir III’s Poland to more Mongol invasions, Ukraine was picked at and gutted over the next several hundred years. Eventually, in the mid 1600’s, a Cossack uprising upended Polish authority. Despite this the Polish nobility still exercised a large degree of control with a modicum of independence for the Cossacks. After a brief period of independence, the country found itself beset by conflict once again during ‘the Ruin’ – a struggle that lasted 30 years between Russia, Poland, Turks, and Cossacks for control of Ukraine. In the end, much of Ukraine was divided up among competing powers. This also began a period of ‘Russification’ in parts of the country, with Russians attempting to unify customs and culture and Ukrainians rising high in the Russian government bodies. By the 19th century, Ukraine was being pulled to both the east and west, though thanks to its rural nature was often left to its own devices. Come World War I and we see that Ukrainians fought on both sides of the conflict (under Austria or Russia). Neither empire survived the war and so Ukraine attempted to form its own country – though conflict between the east and west led to civil war. After losing more of its territory to neighbouring powers, Ukraine became one of the original members of the Soviet Union in 1922. The interwar period was harsh on Ukraine, with the devastating effects of the Russian Civil War keenly felt. In addition, harsh secret police and famine impacted the country throughout the decade. Furthermore, genocide was committed against the Ukrainian people in what is known as the Holodomor. World War II brought further troubles, as the Soviet Union as a whole was involved in a total war against Germany for four years. Millions of Ukrainians fought in the Soviet army, and 5 to 8 million total citizens (including civilians and soldiers) lost their lives by the end of the conflict. Post-war, Ukraine was in rough shape and took a while to recover. Under the Stalinist regime, many different ethnicities were rounded up in Ukraine over the years. With the rise of Khrushchev in 1953, Ukraine enjoyed a boost thanks to the leaders familiarity with the state. This period also saw an impressive rise of industrial output and growth. This was not without its problems however, as the scars of Chernobyl wordlessly tell. As the Soviet Union began to collapse, Ukraine declared independence in 1990, holding elections one year later. While initial signs were positive, it soon became clear the 90’s were a crippling time for the country – with a nearly decade long recession. After then PM Viktor Yanukovych won the (rigged) election in 2004, a peaceful ‘Orange Revolution’ forced him out. This didn’t last however, as he returned to power as PM in 2006 (he would later become president) and began to seek closer ties with Russia at the expense of the EU. After widespread pro-EU protests in 2014, Yanukovych was forced out. With Ukraine divided between the more pro-European West and the pro-Russian East (an area where many ethnic Russians live), Russia soon became involved in the dispute. After forcefully annexing the Crimean peninsula (a pro-Russian region), armed militias began rising in the east of the country in support of Russia. This led to an ongoing military campaign between the Ukrainian government forces and the eastern militias (with the support of Moscow). While the government in Kiev continues to gravitate towards the EU, the conflict and Russian military intervention in Eastern Ukraine continues with no end seemingly in sight. Christianity has had a large impact on Ukrainian culture over the years, with family roles and lifestyles erring towards the traditional. Communism has also had an enduring effect on Ukrainian life and culture, both in politics and arts/architecture. Finally, another key influence is traditional Slavic culture and myth. Ukraine is also known for a strong literary tradition that dates back to the days of Kievan Rus’. 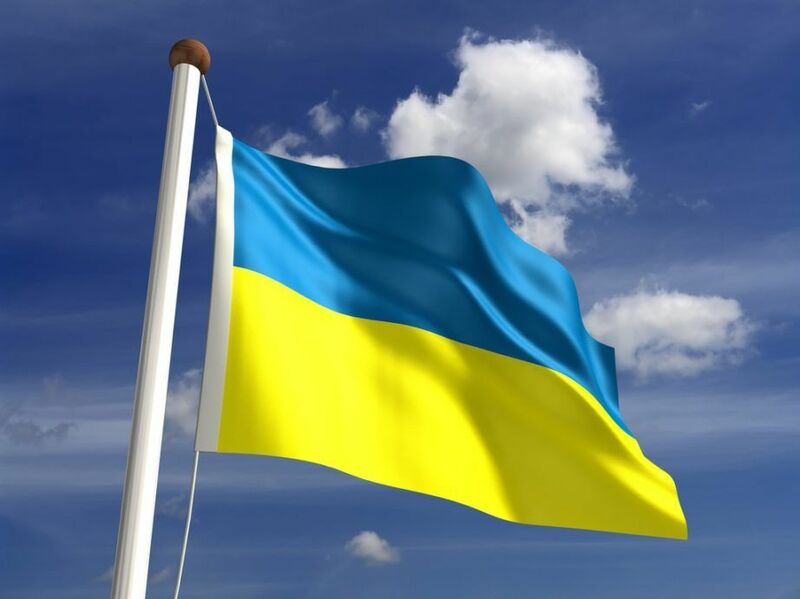 The Ukrainian flag consists of two horizontal stripes – blue and yellow. While the roots of the symbols can be attributed to a great many things, one can argue it represents a standard agricultural landscape where it meets the sky. Ukrainian cuisine is often served in large quantities and is commonly made up of chicken, pork, fish, and mushrooms. In addition, local produce such as potatoes, grains, and various other veggies are commonplace. Borsch (a soup consisting of beets, meat, and other ingredients) is one of the most famous Ukrainian dishes. Thanks to the Soviet support of athletes and international competition, Ukraine has a strong sporting tradition. The most popular sport is soccer. The country co-hosted the 2012 European championships while its most famous player – Andriy Shevchenko – was considered one of Europe’s best in the early 2000’s. Basketball, chess, and a variety of Olympic sports are also popular throughout the country. Ukraine is a large country (the largest solely in Europe in fact, disregarding Russia). Plains, steppes, rivers, the large Carpathian mountain range, forests – all this and more can be found throughout Ukraine. The largest city in Ukraine is the capital, Kiev, though there are four other metropolises that number over 1 million people. This includes the eastern city of Donetsk, which is currently under the control of pro-Russian separatists. There’s a lot to unpack when it comes to Ukraine, but we hope our short journey into the history and culture helped you get started! Your adventure is just beginning! 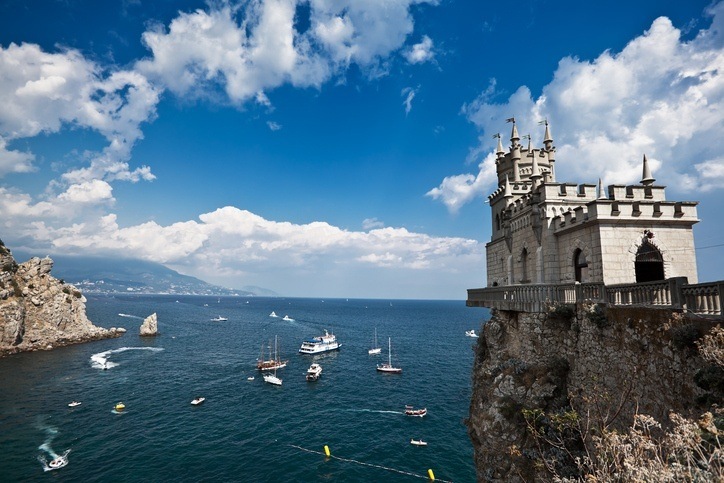 Keep exploring with Continental’s Countries as well as our Ukraine Travel Guide and Currency Spotlight.